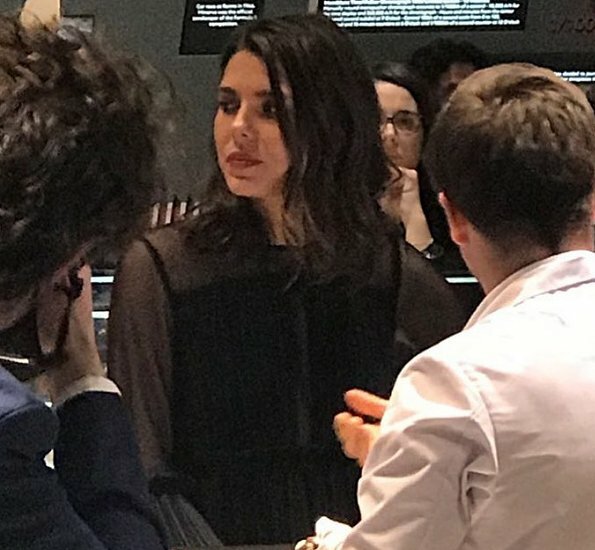 Charlotte Casiraghi attended the Montblanc Gala Dinner at the Brasserie Des Halles as part of the 27th SIHH (The Salon International De La Haute Horlogerie) on January 16, 2017 in Geneva, Switzerland. 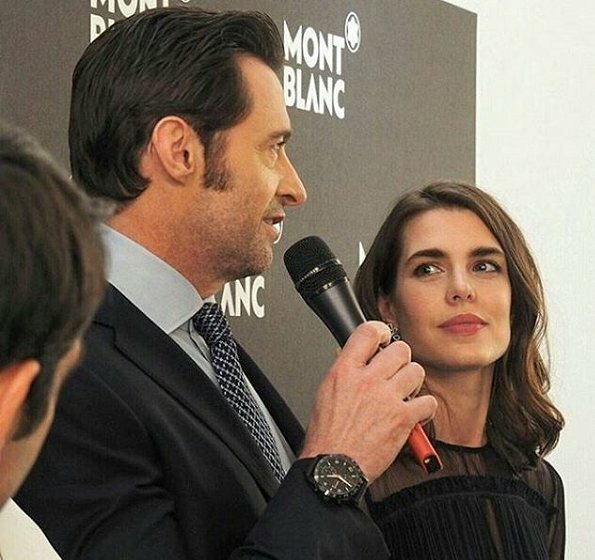 Yesterday, Charlotte Casiraghi attended the Montblanc event in Geneva, Switzerland. Her face looks nice with hair down and with a smile even if it is just a little one. A smile on the face is the prettiest thing you can wear. A smile! What a difference. But in the first photos - Too. Much. Lace. Lace-Overkill ;-))),I actually wonder why High Fashion Labels are still into lace, did they not hear that lace is 'dead' by now?? 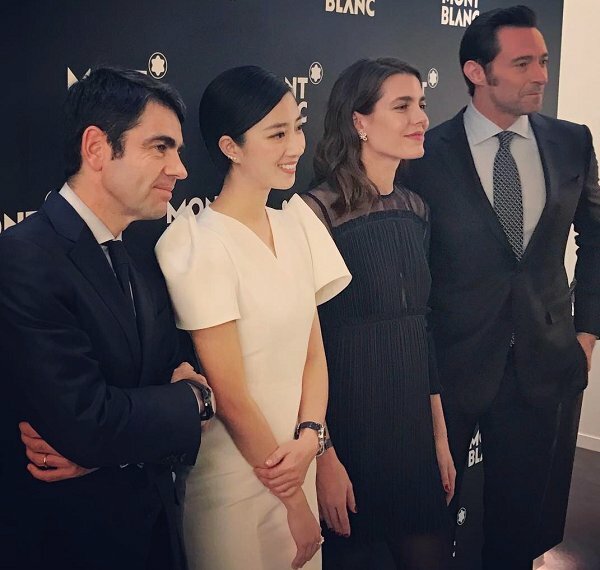 Somehow if it is black and white color I prefer black skirt and white top than vice versa .The all outfit then looks more delicate not so heavy. Me too, Kristina, but in my case it is because of my bum. I think you are very funny girl! Well, as for my bum I am extremely serious! What a big difference a smile can make. Her entire face looks so much better when she's not making that awful duck face pose. She looks more pleasant and her features look much more softer with her hair down. 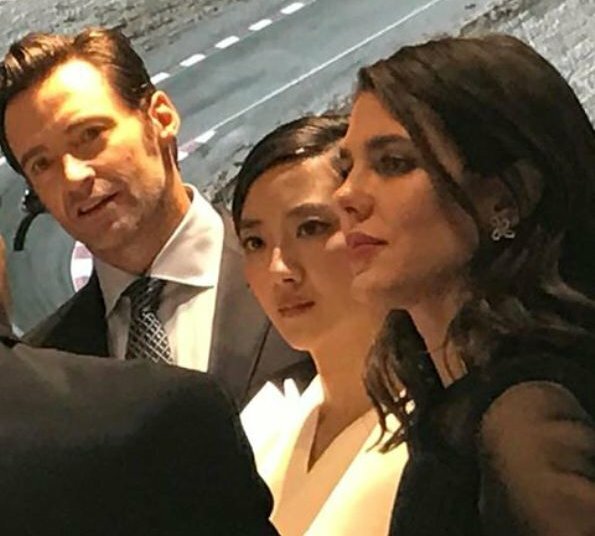 Très jolie spécialement sur les dernières photos et quel regard !